We’ve reached the second round of the Chase for the Cup. This weekend’s event at Charlotte Motor Speedway is race number four of 10 in the playoff format which crowns the Sprint Cup Series champion, and signals the beginning of the Contender Round as four drivers were eliminated from the field of 16 last week after Dover. This will be the second of five intermediate oval events in the Chase and we should be able to examine the results at Chicago for a good indicator of what could happen this Saturday night. Even more applicable could be the results from the race at Kentucky Speedway in mid-July. Since the race was our first with the new low-drag package on intermediate ovals. Kentucky could even more closely mirror what could happen this weekend at Charlotte. This comparison doesn’t stop there. The race at Kentucky a couple months ago was also under the lights at night much like this weekend’s race at Charlotte. Kyle Busch marched into victory lane for the second time this season at the Sparta oval with a very impressive performance. He out-battled and out-witted the Penske teams of Joey Logano and Brad Keselowski to win that Sunday evening in the 400-mile event at Kentucky Speedway. Considering that the No. 18 Toyota team is trying to climb back into the championship picture after one poor performance thus far in the Chase, we expect Busch to be a big-time player at Charlotte Motor Speedway this Saturday night. However, he wasn’t the only Toyota driver of note that night at Kentucky. Denny Hamlin led 13 laps and finished a not-so-distant third to Busch. Had the breaks fell the other way the outcome could have been completely different. The driver carrying the momentum to Charlotte is Dover race-winner Kevin Harvick. He made the cut for the Contender round of the Chase and now comes to Charlotte riding high of his victory at the Monster Mile. He was not a driver of consequence at Kentucky earlier this summer, but we have a feeling he’ll assert his dominance again this weekend. Even though the intermediate oval at Charlotte is similar to both Atlanta Motor Speedway and Kansas Speedway in many respects, we still need to take a long look at the recent track history of Charlotte Motor Speedway. As you’ll see in the table below, we do have a few drivers that struggled at Kansas, but they are historically good plays at the track in Charlotte. Here are the loop stats for the last 21 races at Charlotte Motor Speedway. Hendrick Motorsports, Penske Racing and Stewart Haas Racing have each had quite a bit of success at CMS the last few seasons. These two Chevrolet and one Ford stable have accounted for four of the last five victories at the 1.5-mile oval in North Carolina. However, breaking that trend, it was the Carl Edwards show in the Coca-Cola 600 in May of this year. He took the lead from Kevin Harvick during the final green-flag run and cruised home to the victory, his first-career win at the Charlotte oval. The No. 19 team hasn’t shown the winning touch very often this season (only two victories to-date), so prospects of a season-sweep are not very likely. Coming off the big win at Dover International Speedway, Harvick has to be striding high coming to CMS this weekend. Although Harvick was the victor, it was a race controlled by three different drivers. Matt Kenseth and Kyle Busch did their best to seize the checkered flag at the Dover oval. These three drivers combined to lead all 400 laps at the Monster Mile. Last week’s race did come down to fuel mileage and pit strategy, and don’t rule that out again this Saturday night at Charlotte. Certainly fuel mileage and pit strategy have been a recent theme at this facility. We’ve seen hearts broken and unlikely winners at Charlotte in recent years, and often times it comes down to one or two laps of fuel to decide which fate of the two. Who will win on Saturday in the Bank of America 500? Will Penske Racing get Logano or Brad Keselowski back to victory lane? Or will rival Chevrolet drivers Harvick and Dale Earnhardt Jr. surprise and take a trip to winner’s circle? Will Kasey Kahne continue breaking out of his season-slump and return to victory lane at an oval that has held so much success for him? Will championship contender Kenseth continue his red hot Chase performance? 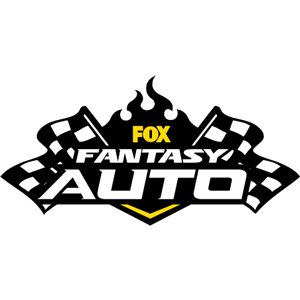 We’ll run down the list of race contenders, Chase contenders and others who you need to dominate your fantasy racing leagues this weekend. Kevin Harvick – After narrowly avoiding the cut at Dover last weekend, Harvick is trying to become a factor in the championship picture. Charlotte Motor Speedway promises to be a potential boost for the driver of the No. 4 Chevrolet. He leads all drivers in laps led on these style ovals in 2015 but has only the one victory at Las Vegas. The veteran driver has three-career victories and 12 Top-10 finishes at the 1.5-mile oval in North Carolina. His most recent outing at this track in May saw him lead 26 laps and finish ninth in the Coca-Cola 600. That was one of six Top-10 finishes this season for the No. 4 team on 1.5-mile tracks similar to Charlotte. This SHR driver has the momentum and speed coming into the Bank of America 500. Kyle Busch – Busch has been successfully building some momentum and team chemistry during this season’s Chase. He claimed fifth Top 10 in the last six races with a runner-up finish at Dover this past week. Busch draws even in the Chase standings after the Challenger round cut and now looms large in the championship picture once again at Charlotte. The Joe Gibbs Racing star has one victory and two Top-10 finishes in his three starts on intermediate ovals this season, and he’s been a good historical performer at Charlotte Motor Speedway. His impressive 44-percent Top-5 rate at this oval is only bolstered by his recent Charlotte performances. Busch’s last four trips to the North Carolina oval have yielded one pole position, two Top-5 finishes and 45 laps led. The No. 18 Toyota team will stay on a roll at CMS. Matt Kenseth – Kenseth boasts six Top 10s in seven starts this season on intermediate ovals. His laps led on these 1.5-mile tracks has dropped in 2015, but he’s still laboring to Top-5 and Top-10 finishes by the checkered flag. The veteran comes to a good venue for him and the No. 20 team this Saturday night. Charlotte Motor Speedway has yielded two victories and 17 Top-10 finishes to JGR star over the years. Kenseth won the pole and led 26 laps here in the spring before finishing fourth in that Coca-Cola 600. With a new round in the Chase beginning and a victory carrying the weight of an automatic ticket to the next round, we expect to see some real urgency from Kenseth and the Joe Gibbs Racing team in the Bank of America 500. Denny Hamlin – The Joe Gibbs Racing star won our first race of the Chase with his brilliant victory at the intermediate oval in Chicago. That performance is a good barometer of the No. 11 Toyota team right now on these cookie cutter ovals. Hamlin grabbed an amazing ninth Top 10 in his last 10 starts at Charlotte during May’s Coca-Cola 600. The veteran driver has led a combined 75 laps in just his last two starts at Charlotte Motor Speedway. Despite never having won at this historic oval, it’s clear that Hamlin is zeroing in on that first-career win at CMS. We believe he presents a strong upside fantasy racing play in this Saturday night’s 500-mile thriller in Charlotte. Joey Logano – Logano has been rock solid consistent on these intermediate ovals this season. What he lacks in terms of wins, he makes up for with laps led and Top-10 finishes. The Penske Racing driver comes to Charlotte first in the thick of the championship battle and looking to put a first Charlotte trophy in his personal collection. The driver of the No. 22 Ford has four Top-5 and six Top-10 finishes in the seven intermediate oval races of 2015. Logano’s Charlotte stats are strong with four Top 5 and seven Top 10s in 13 career starts at the famous North Carolina oval. His 13th-place finish in May’s Coca-Cola 600 at CMS fell short of expectations after sitting on the outside pole, but he should make up for that in a big way this weekend. We expect Logano to be racing with the leaders in the Bank of America 500. 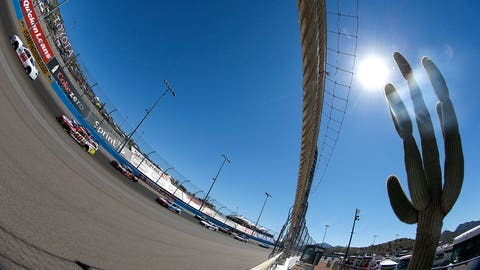 Brad Keselowski – The Penske Racing star is the most consistent driver in the series this season on the intermediate ovals. Keselowski is the only driver in the series that is seven-for-seven in Top 10s at these style tracks this season. He had a tough outing at Dover this past week finishing 16th in the AAA 400. He’ll look to overcome that in Charlotte this weekend. Keselowski won this event two years ago for his first victory at CMS, and he led 3 laps here in May en route to a seventh-place finish in the Coca-Cola 600. With the championship still looming large, and motivation to get that win and automatic bid to the next round of the Chase, we expect Keselowski to be one motivated driver in this 500-mile event. Carl Edwards – While Edwards’ championship hopes are not the greatest, his desire to compete and win races are high. His brilliant runner-up finish at Chicagoland Speedway to begin the Chase is evidence of that. The Joe Gibbs Racing star will look to build on that effort with a great performance at Charlotte Motor Speedway. The 1.5-mile tri-ovals have been kind to Edwards over the years. His 14 Top-10 finishes in 21 career starts is a lofty 67-percent rate. While the No. 19 Toyota won’t be a major contender to win the Bank of America 500, Edwards will be nipping at the heels of the leaders this Saturday night. Dale Earnhardt Jr. – The Hendrick Motorsports veteran is determined to get the best finish possible in this season’s Chase. Earnhardt knows he needs a great performance at Charlotte Motor Speedway to keep that a possibility and to advance to the next round of the Chase. The No. 88 team has never really enjoyed all that much success at this1.5-mile oval, as evidenced by his 39-percent career Top-10 rate at Charlotte Motor Speedway. However, his five Top-5 finishes on intermediate ovals this season speak volumes of his potential in this race. Earnhardt qualified 15th and finished third in this May’s Coca-Cola 600 at Charlotte, so the notes from that effort should come in handy this Saturday night. Jimmie Johnson – The seven-time Charlotte winner gets a bit of a downgrade for this event. After failing to advance in the Chase at Dover last week, Johnson limps into Charlotte weekend and not racing for a championship. Although the vast majority of his success came earlier in his career at this intermediate oval, the No. 48 team has won as recently as 2014 at Charlotte Motor Speedway. The six-time champion will definitely use that past experience and his current success at this oval this weekend. Johnson doesn’t present his usual fantasy racing must-start status for the Bank of America 500, but he does have tons of upside because of his Charlotte pedigree. Kasey Kahne – Kahne has figured something out about Charlotte in the last few years. The veteran driver won three races at CMS between 2006 and 2008 with Evernham Motorsports. He then moved to Hendrick Motorsports in 2012 and promptly won his fourth-career Charlotte race in his first start at the facility with the No. 5 Chevrolet team. Over Kahne’s 23 career starts at Charlotte Motor Speedway he’s led well over 1,100 laps, won four victories, and collected 13 Top-10 finishes. He’s peaking at the right time with Top-10 finishes in his last two starts entering this weekend. The struggling Hendrick Motorsports star is in the middle of turning around his season, so we expect Kahne to be on his "A" game this Saturday night. Martin Truex Jr. – While Truex’s championship chances are slim, the motivation to perform won’t be in short supply at Charlotte Motor Speedway. The urgency to advance in the Chase is a powerful motivator. If nothing else, he’s been consistent on intermediate ovals this season with 268 laps led and five Top-10 finishes through those seven races. The Furniture Row Racing veteran led 39 laps and had a fast car at the similar Chicago oval to start the Chase, and we expect to see that speed at Charlotte Motor Speedway too. Truex led a whopping 131 laps and finished fifth in the Coca-Cola 600 at CMS earlier this summer, so there should be plenty of optimism in the No. 78 camp this weekend. Ryan Newman – The Richard Childress Racing veteran has been a steady hand on the 1.5-mile tracks this season. Newman has five Top 10s in those seven events, including the fourth-place finish at Chicago to begin the Chase schedule. He owns a whopping nine-career pole positions at Charlotte Motor Speedway, so this track has always been a favorite. Newman has claimed Top-10 finishes in four of his last five Charlotte starts, so he’s performing well at this facility at present. He hasn’t finished outside the Top 15 at this oval since 2012, so that’s a pretty good measure of consistency to calm your fantasy racing nerves. Kyle Larson – The Chip Ganassi Racing youngster has only four career starts at Charlotte Motor Speedway, and they’re not the greatest results. Larson has only one Top 10 in those efforts coming into the weekend. However, his performances in general have been improving as the season draws to a close. The driver of the No. 42 Chevrolet has three Top-10 finishes in his last five starts including a seventh-place finish at the similar intermediate oval in Chicago a few weeks ago. We expect to see good speed and even better racing from Larson in Saturday night’s Bank of America 500. Aric Almirola – After missing the Chase, Almirola and the No. 43 team could have packed it in for the year, but they have done quite the opposite. The journeyman driver has posted a pair of Top 5s and three Top 10s in his last four races leading up to Charlotte. It’s been the best racing of the season for the Richard Petty Motorsports driver. Almirola has seven-career starts at Charlotte Motor Speedway with a top finish of 11th-place in 2014. When it comes to streaks, this driver and team are riding a good wave right now into this Saturday night’s race. A Top-15 finish seems like a safe bet, and potentially a career-best Charlotte finish is in store. Clint Bowyer – The Michael Waltrip Racing veteran continues to struggle this season on the cookie cutter race tracks. Bowyer’s seven starts have yielded no Top-10 finishes. His sub-par 19th-place finish at Chicago to start the Chase has been indicative of his performances in 2015 on these cookie cutter ovals. That’s not an acceptable level of performance for this driver and team. Bowyer is normally a decent performer at Charlotte Motor Speedway, but he’s failed to crack the Top 10 in his last four starts at the facility. His 26-percent career Top-10 rate at CMS is less than assuring given his poor level of performance of late. Tony Stewart – After announcing his pending retirement prior to Dover weekend, we expected a "lighter" Stewart to show up at the Monster Mile and potentially exceed expectations. However, it didn’t happen as Smoke limped to a 26th-place finish at the Monster Mile. Now he comes to Charlotte to see if he can turn around his poor season. Intermediate ovals have been difficult for the No. 14 team this season. Stewart has a 29.3 average finish on the 1.5-mile tracks this season with no end to the struggles in sight. He finished 21st at Charlotte in May and that’s likely where he’ll check in this Saturday night in the Bank of America 500. Paul Menard – Menard and the No. 27 RCR team are struggling to round out their 2015 season. The veteran driver has only one Top-15 finish in his last five races and looking for answers to end the slump coming to Charlotte this weekend. Menard’s intermediate oval resume this season is a string of not quite good performances. The seven starts average out to an 18.6 average finish. The Charlotte oval too has been a track of struggles for Menard. He has just two Top 10s in 17-career starts at Charlotte Motor Speedway. It would seem that the chips are stacked against Menard in this one. Greg Biffle – Biffle has been looking for answers all season long in the No. 16 Ford, but he’s found few. Normally a good performer on cookie cutter ovals, even those have turned on him in 2015. Biffle has one Top 10 in those seven events, but he’s mostly been just a Top-20 finisher on these style ovals this season. That’s far below what we expect for the Roush Fenway Racing star, who has historically piled up wins and Top 10s on 1.5-mile tracks during his successful NASCAR career. Only one of his last five Charlotte starts has yielded a Top-10 finish. We can’t recommend a fantasy racing start for Biffle at Charlotte Motor Speedway. Taylor is a three-time FSWA Racing Writer of the Year. Get a FREE RotoWire 10-day trial (no credit card required) at RotoWire.com.